All Bar Members please take note of retirement drop in invitation below. Law Day is a national holiday established by President Dwight D. Eisenhower to celebrate the American heritage of liberty, justice and equality under the law. It is celebrated on May 1 of every year. The main speaker at this year’s program will be newly appointed US District Court Judge Donald C. Coggins, Jr. His topic will be this year’s theme adopted by the American Bar Association, “The Separation of Powers: Framework for Freedom”. Area high school students have participated in the annual Judge J. Mark Hayes Law Day Essay contest about the American Justice System. The winners will be recognized at the Law Day Ceremony. 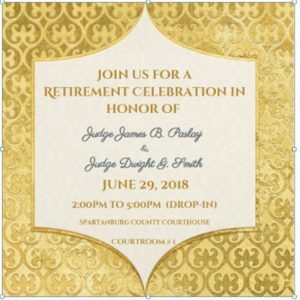 The event is open to the public and all members of the Spartanburg County Bar are encouraged to attend. Please join us for a presentation and information session on the proposed Spartanburg County Judicial Center Project. 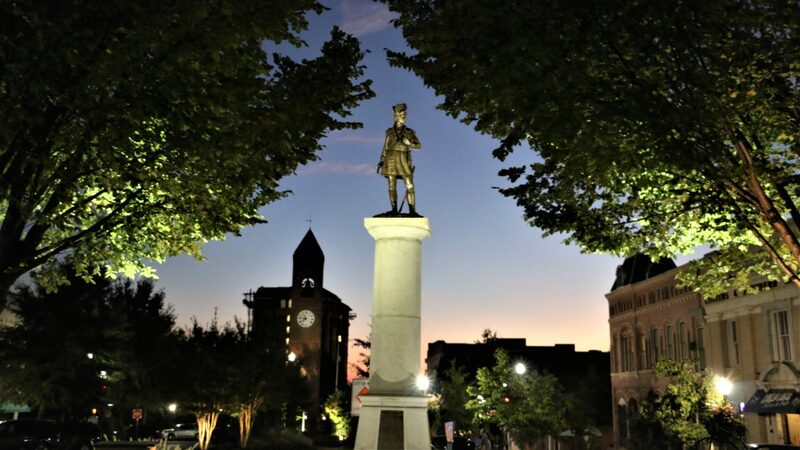 The meeting will be on Thursday, October 5, from 5:30 PM to 8:30 PM at Cleveland Park Event Center, 141 North Cleveland Park Drive, Spartanburg, SC 29303. Your input and support are very important. Complimentary drinks and bites from Cribb’s Catering follow the presentation. Please respond to me by Tuesday, October 3, if you are able to attend.